We've all heard our fair share of roommate horror stories, or have some of our own, because we never truly know who someone is until we've lived with them. Cohabitation issues generally revolve around things like bills, chores, cleaning, and groceries. Approaching a roommate, especially an adult one, to remind them to do their chores can be an anxiety-ridden and daunting task. After all, we're roommates, not parents! Now there's an easy way to replace those awkward and passive-aggressive interactions with HomeSlice, encouraging accountability by creating a private social network equipped with all the tools necessary to make cohabitation easier. Sure we can group chat, but having something more comprehensive that can prioritize household tasks can go a long way towards avoiding uncomfortable interactions. 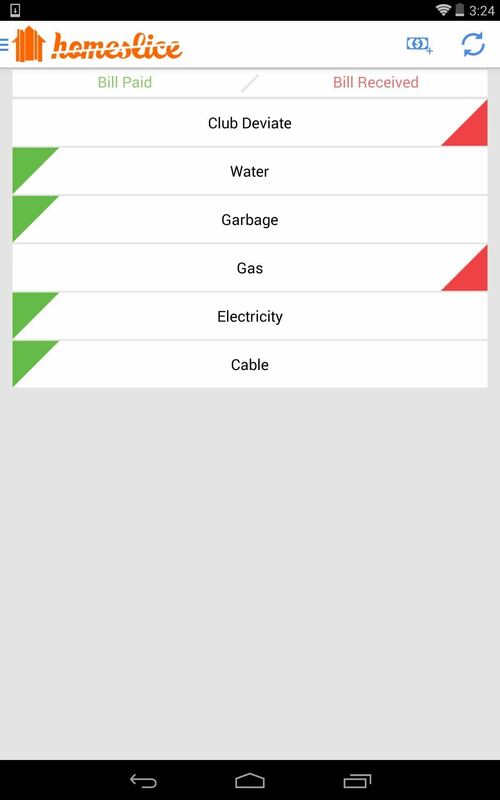 Get started by downloading the HomeSlice app from Google Play or the iOS App Store and setting up an account. The app only requires a name and password to create a Home, which roommates can simply search for and join. Opening the app presents the Whiteboard, which serves as a message board. Open the menu on the top left to see the other three tabs: Supplies, Chores, and Bills. The Supplies tab makes is simple to notify roommates of current household inventory, utilizing two columns: In Stock and Out of Stock. 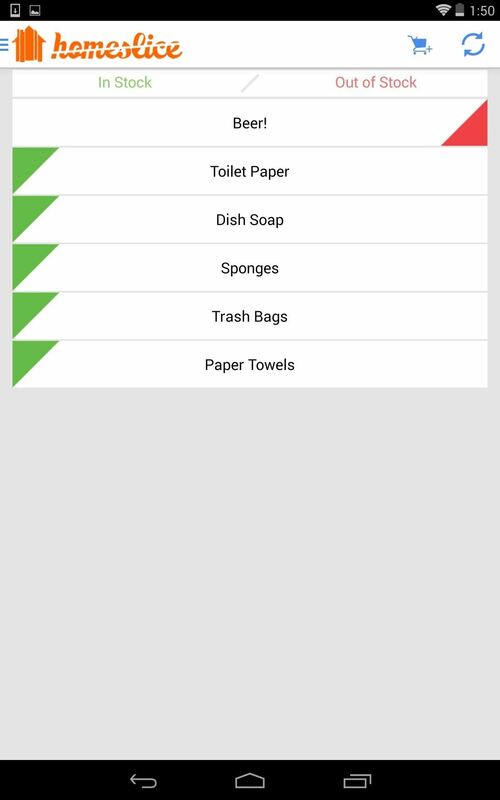 Tap the shopping cart symbol to add an item, or press and hold an existing item to delete it. Slide the colored corner to either side to distinguish its status. After buying an item, slide the rocker to the In Stock column, and a small window will pop up to allow you to enter the amount spent. 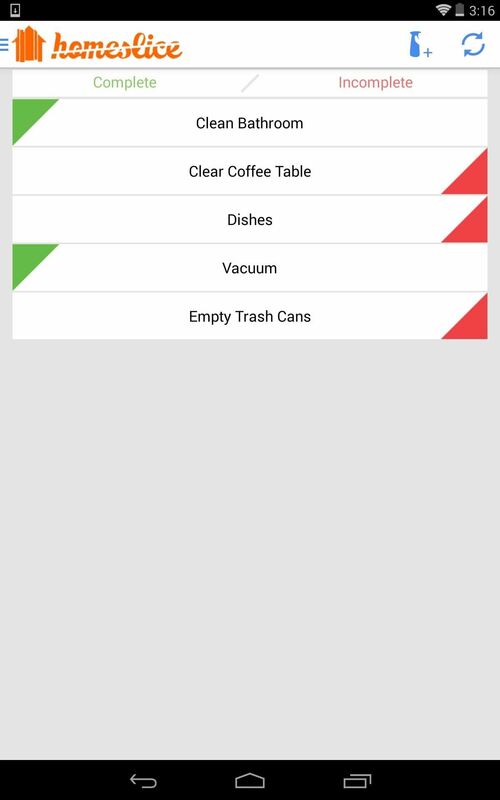 In the Chores tab, simply slide to the Completed column to notify your roommates you've done a chore. 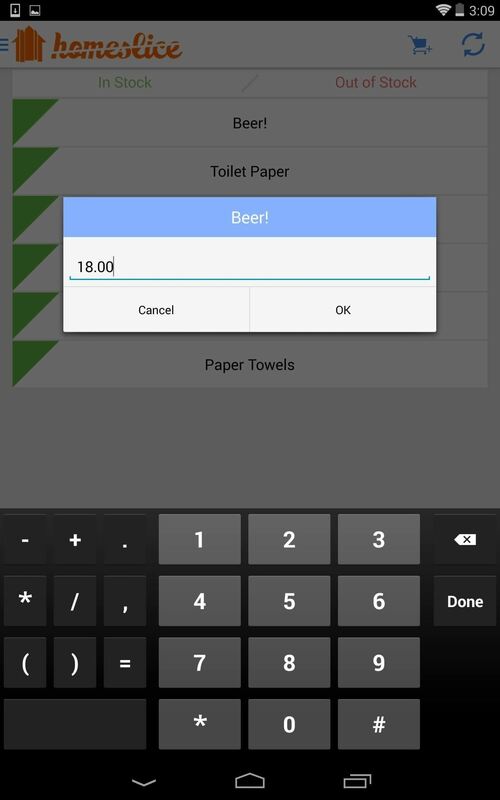 If you slide a chore to the Incomplete side, all roommates will be notified as to what needs to be done. 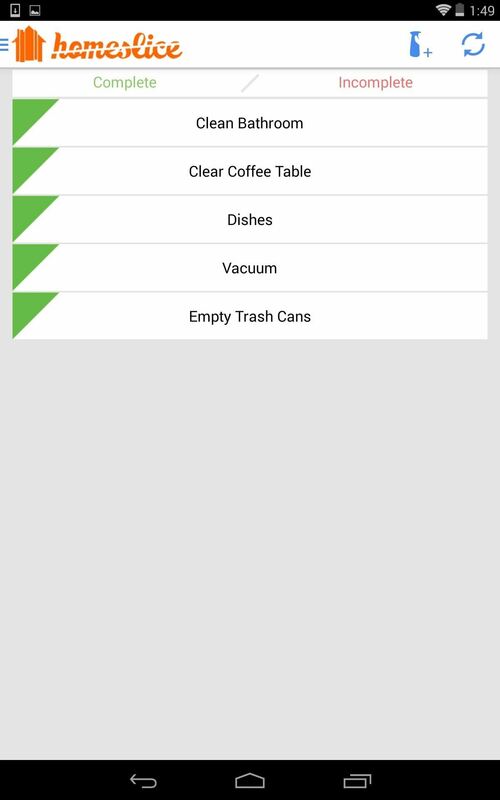 Chores are added and removed the same way as Supplies, only this time with a squirt bottle icon. The Bills tab makes staying on top of payments easy. 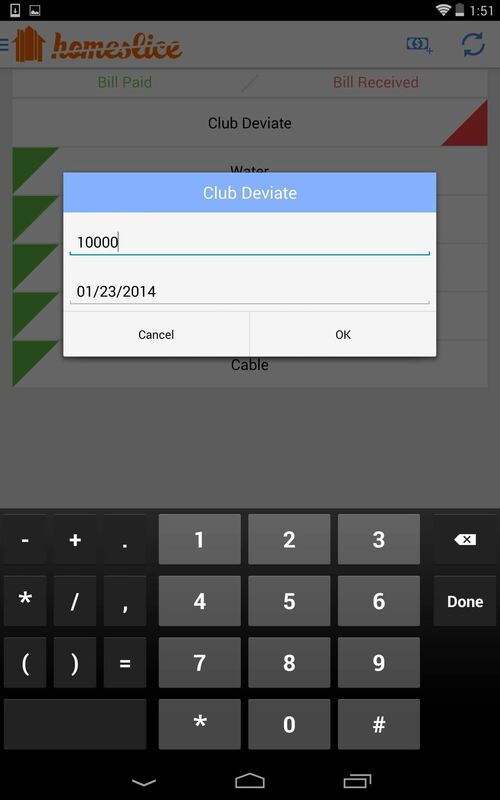 Mark a bill as Recieved and input the amount. Again, we simply slide over to notify if it has been paid. Once a bill has been received or paid, everyone is alerted on the Whiteboard. Any notification, such as chores, bills, and supplies will be posted to the Whiteboard so that everyone can be held accountable. It's also just a great way to keep in contact with your housemates. You can sort the Whiteboard by selecting one of the tabs on top to create a more manageable view. 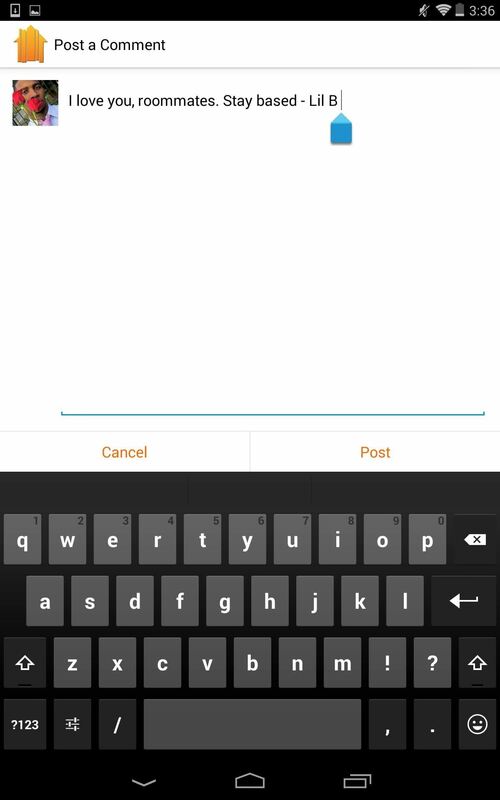 HomeSlice is still a relatively new app (the Android version is in beta), but everything worked for me. How's your home life after using the app? Let us know in the comments below. 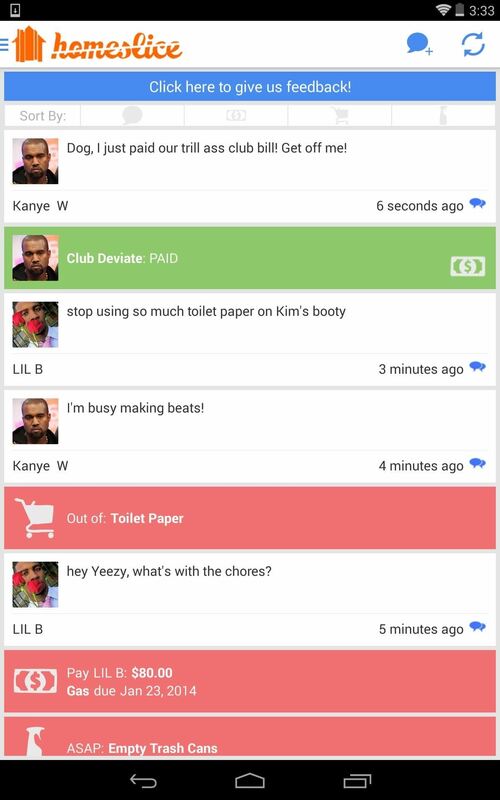 Are there good alternatives to this app? I haven't looked or heard of any. This just seems so easy and simple. An alternative would be a group chat, I suppose. You can try Fairshare. It's new but looks pretty good. Give it a shot and let us know what you think.